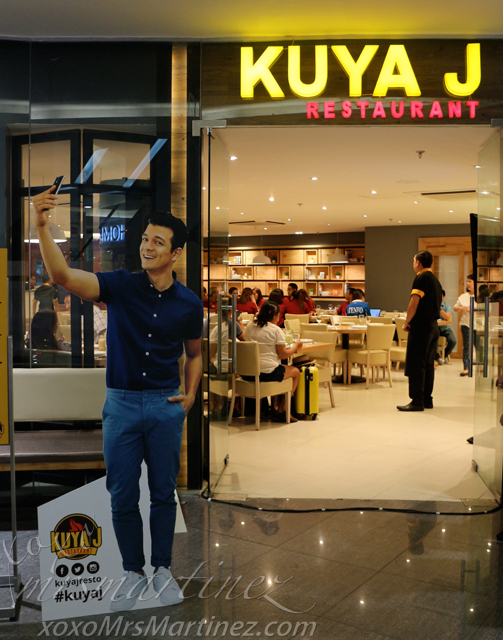 Kuya J, one of the fastest rising Filipino restaurants in the Philippines, is the latest restaurant to open in SM Megamall. 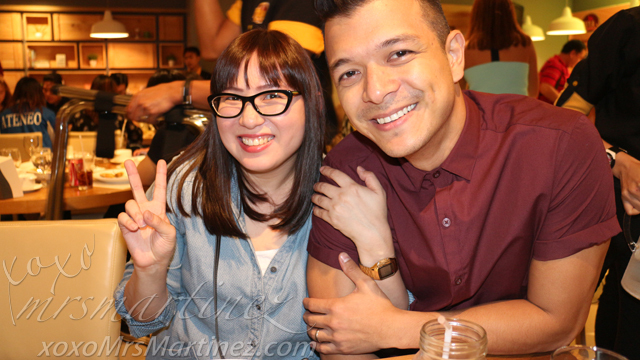 It is formerly known as "Ang Kan-anan ni Kuya J". 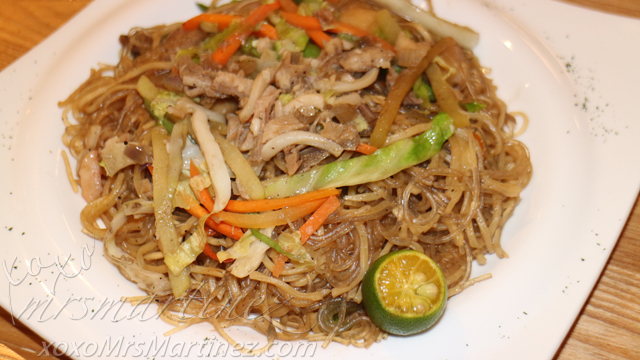 It started as a humble eatery along the streets of Cebu. 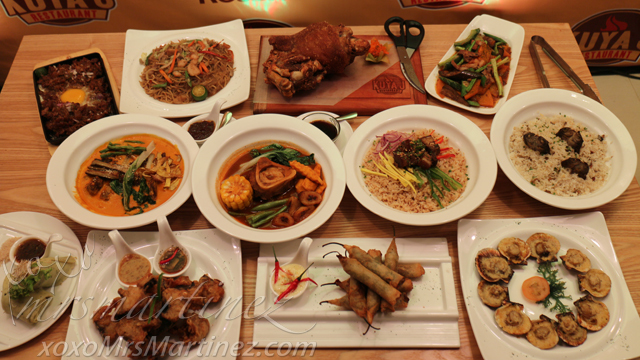 But with its undeniably delicious dishes, words quickly spread around town and it instantly became one of Cebu's favorite restaurants. 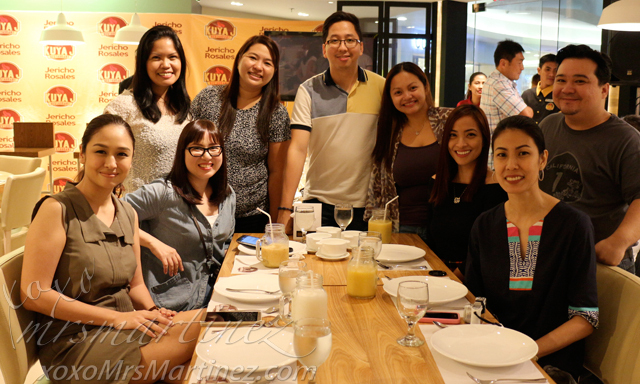 Luckily, I had a chance to partake its scrumptious food last Monday night along with good friends from the blogging industry. I seldom accept event invites these days due to conflicting schedules but I found myself giving my "Yes!" 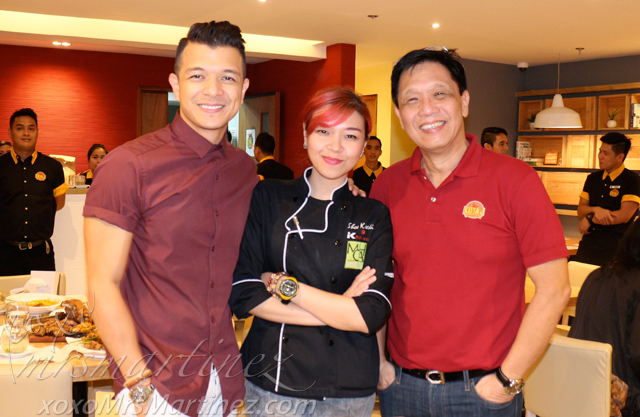 so I can meet in person the one and only, Jericho Rosales- Kuya J's "Bidang Endorser" and at the same time, taste the scrumptious dishes at Kuya J. The restaurant is spacious and well-lit. Tables are well organized, there are several round tables, square table and tables with couches on the side. The staff was very welcoming and I felt right at home. 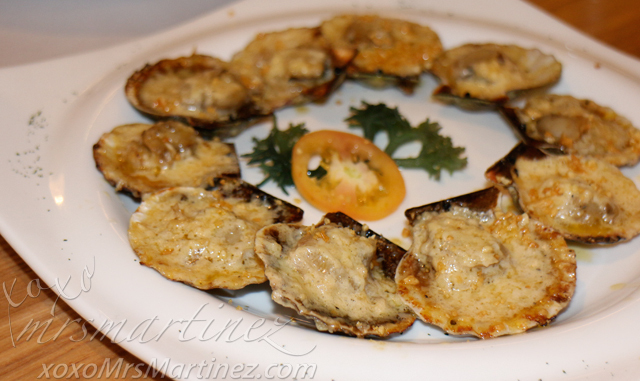 Kuya J's Grilled Scallops is undoubtedly one of its best sellers! Each scallop is filled with cheesy butter topping. It is so delicious, one scallop is not enough! At first, I was afraid to touch Chorizo Dinamitas, thinking it would be too hot for me to handle. When my fellow moms started to ooh and aah at the same time, I decided to give it a try. Surprisingly, it was neither hot nor spicy. It was, in fact, delectable especially when dipped in garlic mayo. A Kuya J Signature, Lumpia Presko is very filling. 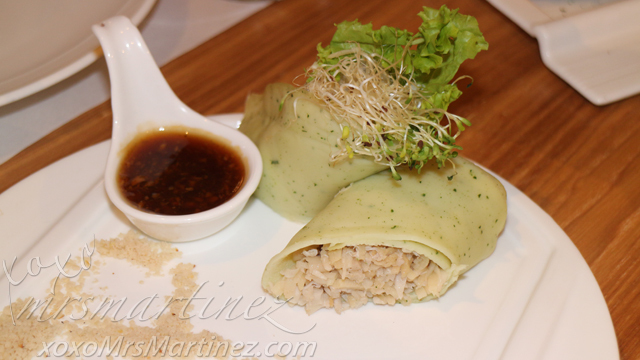 Crabmeat and bamboo shoots were sauteed then rolled in malunggay-infused wrapper. The dish is served with sweet garlic sauce on the side. One piece is perfect for a health-conscious mama like me. 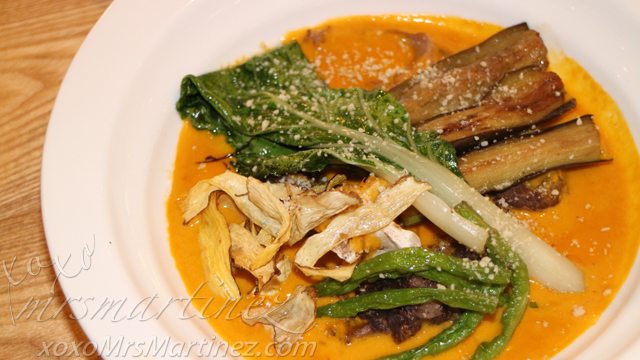 Kare-kare is a staple dish in every Filipino home and at Kuya J restaurant, they served it in traditional style with reinvented peanut sauce to boot! For meat lovers, this Humbinagoongan Rice Platter is a meal in itself. 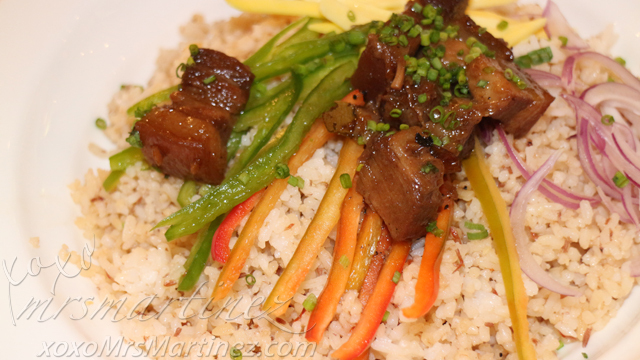 Binagoongan humba meat was aplenty with green mangoes, bell peppers and red onions on top of sinangag! 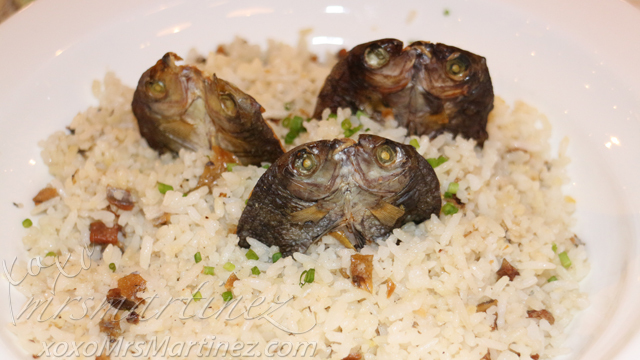 For certified rice eaters, this is a must-order when dining at Kuya J. 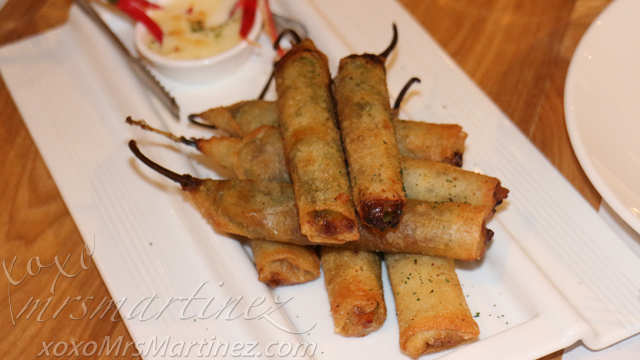 The sinangag is topped with danggit bits, chives and 3-pcs. 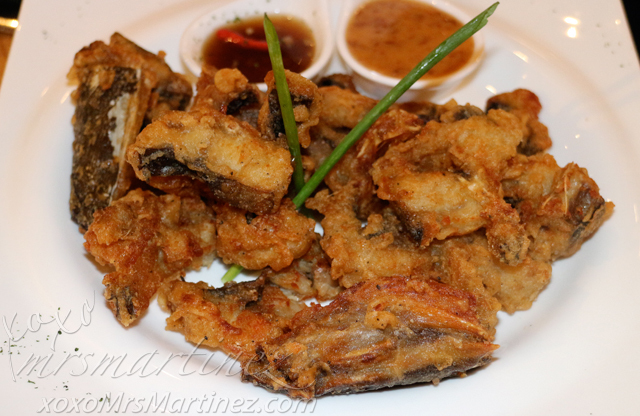 of fried danggit on top. Perfect for Juan and all! Crispy Catfish is also good. I just don't like taking out all the fish bones! 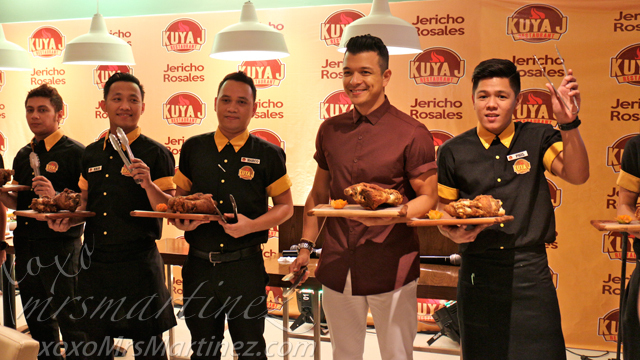 And just when I thought that every food was already served, Jericho Rosales came out with a tray of Kuya J's Crispy Pata. Oh, my! How do I describe Kuya J's Crispy Pata? 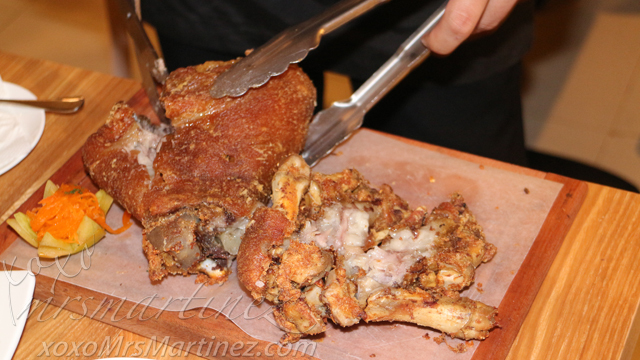 Let me begin with its perfectly deep-fried pork skin, there's a crunch in every slice! The tender and juicy pata meat is so tasty, you won't be needing the sauce on the side. It's so crispy-licious! 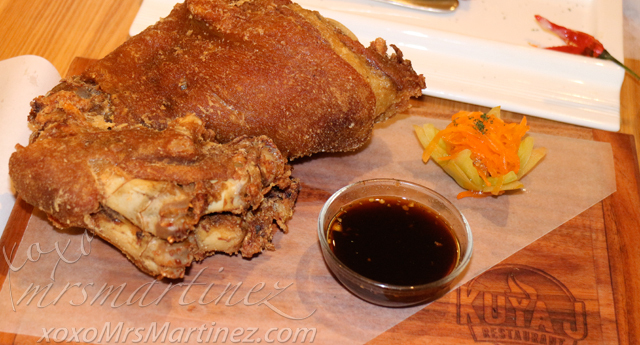 Crispy Pata is also available in Regular size for only Php 490. 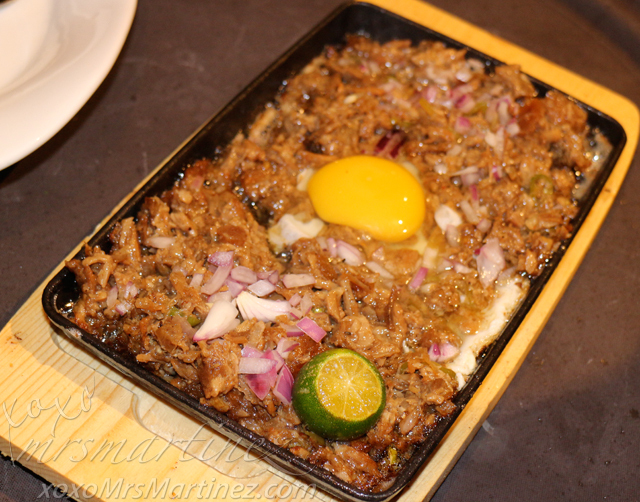 Sizzling Pork Sisig with Egg is an all-time Filipino favorite and it's also one of the best sellers in Kuya J. It is a dish of sizzling, crispy and crumbly chopped pork belly. Thank goodness, there's no chopped pig's face and ears involved! 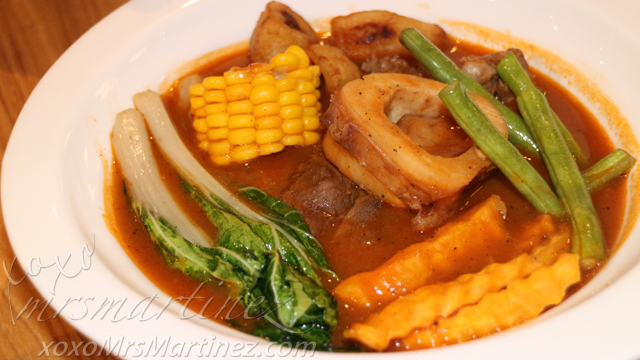 I like the saging na saba in this pot of Pochero Bulalo Tagalog. There's also corn, kamote and Baguio beans. Bam-I has sotanghon and egg noodles mixed with pork belly strips, squid balls, shrimp, squid and fresh greens. Oh my, I sure made room for dessert! I finished an entire cup of Mango Pandan. I can't resist the mango and pandan cubes in creamy sauce. It's so yummy! 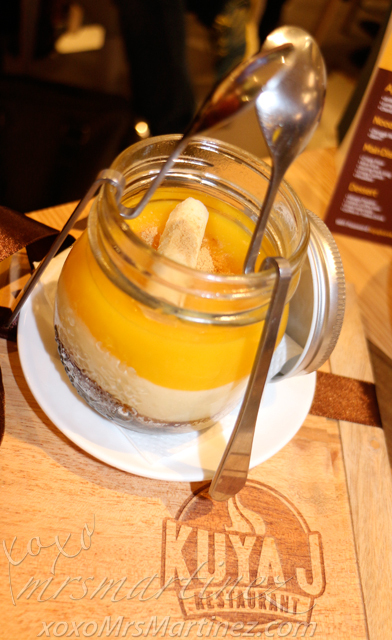 This Cebuano Mangga Cheesecake has layers of muscovado graham crust, cream cheese and fresh mangoes on top! 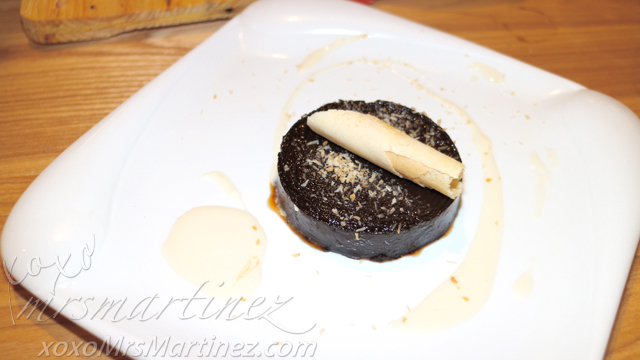 If you want to taste Batangas tablea, order Kuya J's Tablea Coffee Flan. It has coffee caramel topped with dried coconut sprinkles and cream. 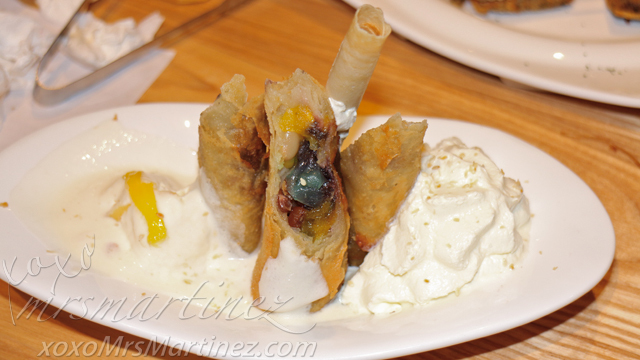 For a unique dessert with a Filipino twist, order Fried Halo-halo. 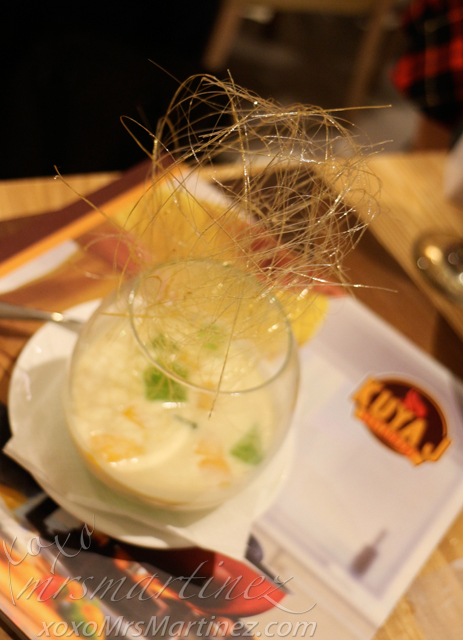 It has ube, white beans, corn, nata de coco, langka and brown beans with whipped cream and ice cream on the side. 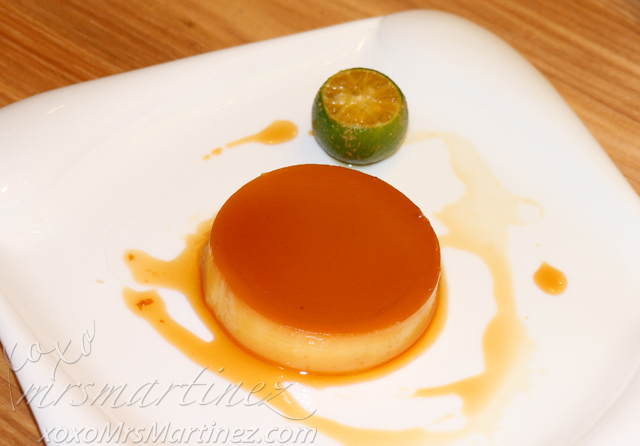 If you like traditional dessert, you can never go wrong with Kuya J's Leche Flan with classic caramel sauce. I can't believe I have tasted all these mouthwatering food in one night! Thanks Kuya J for inviting me over. 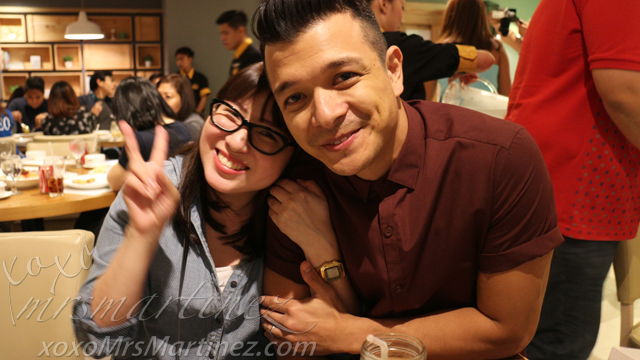 I sure had so much fun with the salo-salong sarap at Kuya J! 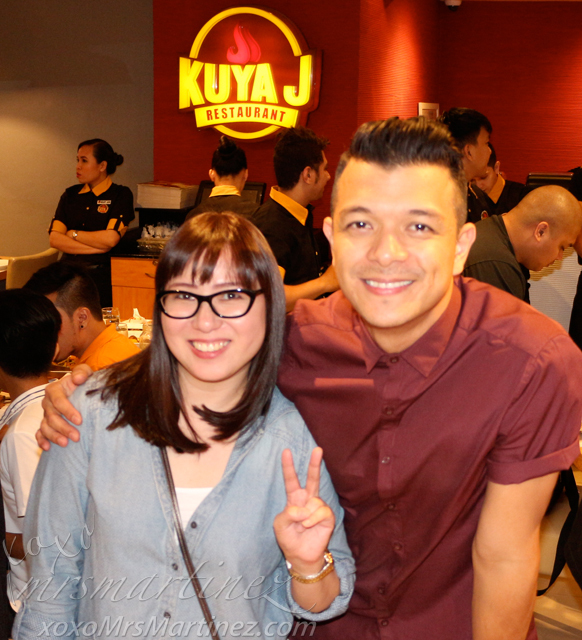 Kuya J is located at LG Floor, SM Megamall Building A.